Found one file extension association related to Patrician II and 1 file format developed specifically for use with Patrician II. Patrician II is a real-time trading simulation featuring elements of construction and the historical background of maritime trade in the North European area between London and Novgorod at the time of the Hanseatic League. 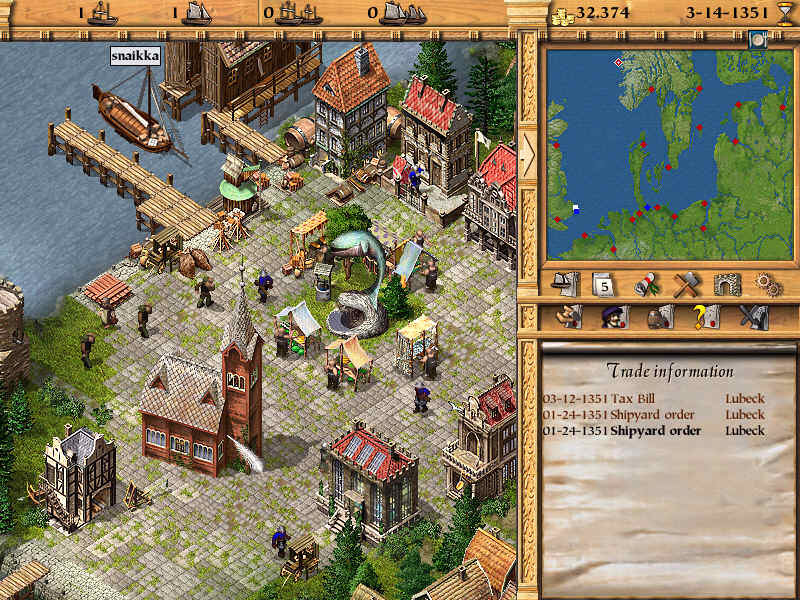 As a citizen of a medieval hanseatic town, the aim of the game is to rise from the status of a simple, insignificant trader to that of a big businessman and perhaps even become the head of the Hanseatic League. To achieve this goal, the player must gain recognition and prestige among the people - rich and poor - and try to make profit by means of maritime trade, the production of goods and the completion of missions. The player can raise his standing through city improvement and diplomacy or he fills his treasury through piracy and smuggling. If you need more information please contact the developers of Patrician II (Ascaron Entertainment), or check out their product website.